With streaming services on the rise, cord cutting is incredibly feasible. 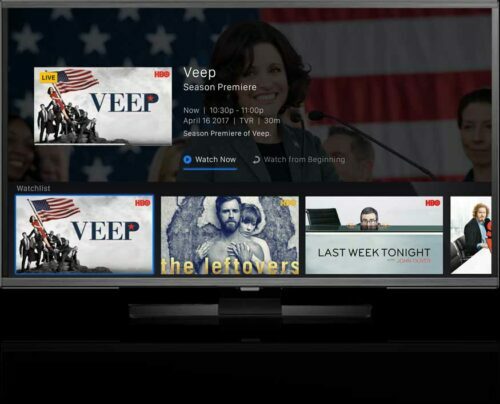 While many streaming options offer on-demand content, others like Sling TV and PS Vue provide live television. With its excellent channel lineup and device compatibility, it's simple to cut the cord with DirecTV Now. However, DirecTV Now as a cable alternative isn't perfect. Check out more about its channel packages, device compatibility, and DVR in this DirecTV Now review! DirecTV Now review: Is DirecTV Now good? If you plan to cut the cord with DirecTV Now, cost is a major factor. here's a base tier of Live a Little which affords around 60 channels for $35. Step up to the Just Right tier for about 80 channels at $50. Then there's the beefy Go Big with over 100 channels for $60. Finally, for completionists, there's the Gotta Have It at $70 which delivers a whopping greater than 120 channels. Live a Little: 60+ channels, $35/mo. Just Right: 80+ channels, $50/mo. Go Big: 100+ channels, $60/mo. Gotta Have It: 120+ channels, $70/mo. Channels vary by package. The Live a Little tier includes ABC, AMC, the Disney Channel, and ESPN among others. Just Right adds the likes of NickToons and MLB TV. Go Big includes almost everything with the exception of a few premium offerings like El Rey, Boomerang, and Starz. Lastly, the Gotta Have It tier includes absolutely everything. DirecTV Now boasts a massive channel lineup. Purely in terms of channels, DirecTV Now as a cable replacement is by far the best value. Notably absent though are CBS and its affiliates. You will find in certain markets NBC, ABC, and Fox. However, at the time of writing, there's no CBS. Keep in mind that if you plan to cut the cord with DirecTV Now, there's also no NFL Network or Showtime option. Still, DirecTV Now is in talks to expand its local TV station array with CBS. 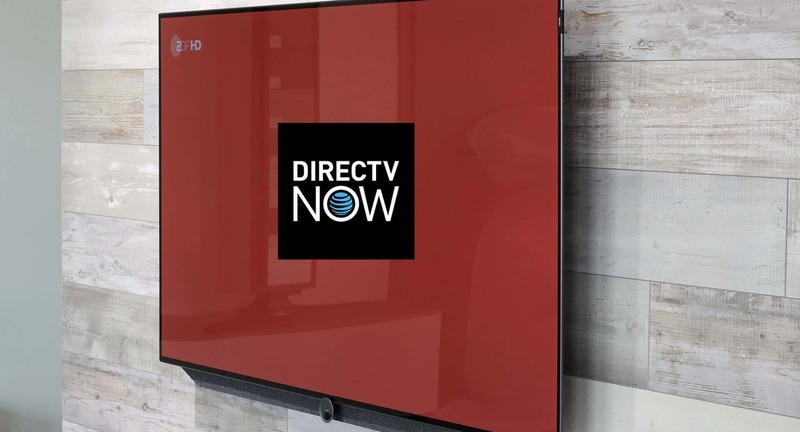 DirecTV now as a cable replacement does offer premium channels. HBO is available as an add-on package. It's a mere $5 a month which is less than the $15 for HBO on PS Vue or Sling TV. Showtime is offered at the highest Gotta Have It tier. Similarly, Cinemax and Starz are available as standalone add-on packages at $5 and $8 a month respectively. Many forgo cord cutting because of sports access. But DirecTV Now as a cable replacement is a superb option. Even at its base package, you get ESPN and ESPN 2. This means it's easier for sports fans to cut the cord with DirecTV Now. Additionally, Fox Sports 1 is available at the lowest price point. In my DirecTV Now review, I was pleasantly surprised at the lineup of sports channels. Unfortunately, regional sports channels from the likes of Fox are up a tier. For NFL fans, there's no NFL Network. You won't have access to NFL Sunday Ticket either. This seems strange considering DirecTV includes that as part of its satellite service. Password sharing is a pretty common instance among family and friends. With DirecTV Now, it's limited to two simultaneous streams. As concurrent streams go, that's fairly low. Should you subscribe to DirecTV Now? DirecTV Now as a cable alternative is a bit of a mixed bag. For pure channel lineups, it's easily the best value. Even its base tier of 60 channels for $35 a month is a phenomenal value. This far outstrips most other streaming cable replacements. But if you plan to cut the cord with DirecTV Now, be aware of its limitations. Notably, lack of CBS and its affiliates is a major downside. While this is potentially in the works, it's not finalized. For hardware, gamers may lament no PlayStation 4 compatibility. However, the biggest issue is no DVR. Although it's planned, it's a massive slight which really detracts from the overall service. Low priced add-ons for HBO, Starz, and Cinemax compensate for no DVR. But should you subscribe to DirecTV Now? That depends. If you're an AT&T mobile subscriber, you can stream DirecTV Now with no harm to your data cap. Sure, this is excellent for AT&T subscribers. But it's a detriment to the open Internet. Furthermore, for subscribers to the $90 a month unlimited data plan at AT&T, there's the option to snag DirecTV Now at $25 off monthly. That's an enormous savings. Ultimately, in my DirecTV Now review I enjoyed the substantial channel lineups even at the base tier. Device compatibility is generally solid. The major problem aside from a few technical issues is its missing DVR as well as the ability to pause, rewind, and fast forward live TV. It's a promising service, but tough to recommend DirecTV Now as a cable replacement. The notable exception being for AT&T subscribers who benefit from unlimited DirecTV Now streaming as well as a potential monthly credit. Your turn: Have you cut the cord with DirecTV Now?